Walter N. Chase and his six man Coskata life saving crew battled heavy seas to rescue the seven man crew of the H.P. Kirkham sinking off of Nantucket Island. A British three masted schooner, H.P. Kirkham, sailed from Halifax, Nova Scotia, on Saturday, January 16, 1892, bound for New York. The Kirkham carried a crew of seven men and a load of salt and pickled fish. Battling her way through heavy seas, she became lost in the blinding sleet and at seven o’clock the night of January 16, 1892, she hit the Rose and Crown Shoal, located about 15 miles off Great Point, Nantucket. The crew of the Coskata Life Saving Station on Nantucket Island closely watched the weather. Occasional snow squalls from an overcast sky and a twenty below zero temperature ushered in the evening of January 15, 1892. An icy northern wind whistled over the sand dunes as the Coskata crew patrolled their beats. The men returned to the station chilled and tired from their long trek through the heavy snow and sand. The wind and sea still roared at daybreak. With his long glass,Keeper Walter N. Chase swept as much of the coast as he could bring into range. He couldn't see a ship. Then the station telephone rang. Keeper Chase answered and the lighthouse keeper at Sankaty Head told him that just before dawn he had seen torch flashes offshore and he thought he could see the masts of a vessel on Bass Rip, ten miles out. Keeper Chase and his men launched a rescue boat and he and his six men made sail and reached Bass Rip in a short time. From there, for the first time they saw the wrecked Kirkham, five miles farther out on the Rose and Crown Shoal. The Rose and Crown Shoal was the most dangerous of the outlying shoals, but Keeper Chase didn't hesitate to head the boat for it. When the life-savers got near enough, they saw seven men clinging to the rigging of a three masted schooner hull. The schooner had already worked itself so deeply into the treacherous shoal that only part of the port rail was visible. Waves broke high over the bow and swirled over deck and stern. The lifesaving crew anchored the life boat and took a hawser over the bow. They carefully steadied the boat by the oars and the long steering sweep and it dropped down with the current toward the wreck. The life savers hung upon the keeper's every word of command and gesture. One misstroke could mean death. Finally, the seas had quieted enough so they could hurl a heaving stick with a small line attached into the rigging of the wrecked schooner. The schooner's crew bent a heavier line on to the stick and threw it to the life boat crew. The lifeboat crew drew it aboard the life boat and made it fast to the after thwart. Then two of the boat's crew began to haul in carefully toward the wreck. Then the pace of the rescue quickened. The frightened sailors hauled so rapidly on their end of the line that they were in danger of swamping the life boat. Keeper Chase ordered them to make the line fast, but the undisciplined and demoralized crew of the schooner didn't obey his command. Keeper Chase passed his knife to the stroke-oarsman. He told the crew of the swamped Kirkham that he would cut the line if they pulled the boat closer. Keeper Chase had anatomy on his side. He stood six feet four inches in his boots and his voice matched. He towered above the seas in the eyes of the shipwrecked crew. His command rang in their ears above the storm. 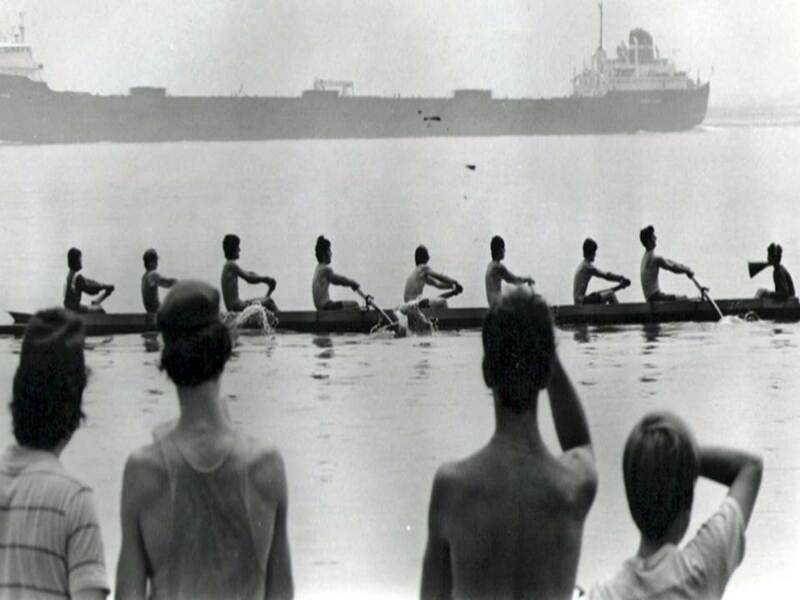 Behind him stood the stroke-oarsman, knife in hand, ready to sever the line. The little wave-tossed life boat at the end of the line was their only hope of safety. They slowed down and the six man rescue crew made fast and worked in as close to the wreck as they could. One after another, they took the seven men off the wreck and laid them like logs in the bottom of the boat. The rescue crew cast mast and sail overboard because they were now useless against a head wind and sea. They saw glimpses of the tall red and white tower on Sankaty, Nantucket's most prominent headland, flitted back and forth as the boat rose on the crest of a high sea. They lifted the anchor and headed the boat shoreward. wind and current combined to force it toward the breaking shoal. After three hours of hard pulling, they passed the shoal but could make no further headway into the storm. They anchored the boat again and waited for the turn of the tide that might help them reach land. At sunset, six hours after leaving the wreck, the boat had only traveled one mile of the fifteen stretching to the shore. Anchoring on these seas didn't mean a safe harbor. The boat rolled and pitched and took in water with almost every wave. It took constant effort to keep it from capsizing. The southern tide broke at 9 p.m. but the fierce norther had caused such a set that after an hour's pull, the crew had to anchor again. By now, the boat had been in the sea for more than a day. It had been launched at eight o'clock the morning of January 16 and now it was three o'clock in the morning of January 17. Finally the southern tide came up and the wind and sea moderated a little. At sunrise, the men made another pull for shore. At ten o'clock, twenty-six hours after the crew had left Coskata, they beached the boat at Siasconset, on the southeastern shore of Nantucket. They still had to travel eight miles across the island from the station to which they were too exhausted to return until the afternoon. Twenty-six hours before, when the crew started from Coskata, they had left a woman behind in the station. As hour after hour wore away, she watched and waited, hoping against hope. When the crew reached the station, she came out. She stood up on tiptoe, drew the keeper's bearded face down to hers and kissed him. She was the wife of Keeper Chase. The lifesaving medals that the Lighthouse Service awarded to the valiant crew arrived too late for one of them, cheerful Roland H. Perkins, “Perkie”. The previous winter he had endured an attack of pneumonia, which had weakened his system and the twenty-six hour ordeal brought on consumption. Perkie knew the Lighthouse Service had awarded Keeper Chase and his crew lifesaving medals. When Keeper Chase visited him shortly before his death, Perkie asked him, "Captain, haven't those stove-covers come yet? On April 2, 1892, Keeper Walter N. Chase received the Gold Lifesaving Medal and each of his crewmen, including Jesse H. Eldridge, Roland H. Perkins, Charles B. Cathcart, John Nyman, Josiah B. Gould, and George G. Flood. On June 16, 1892, Surfman Roland Perkins died "from disease caused by exposure at the wreck of the H. P. Kirkham." His medal came late for him to enjoy, but it comforted his aged, sorrowing mother.